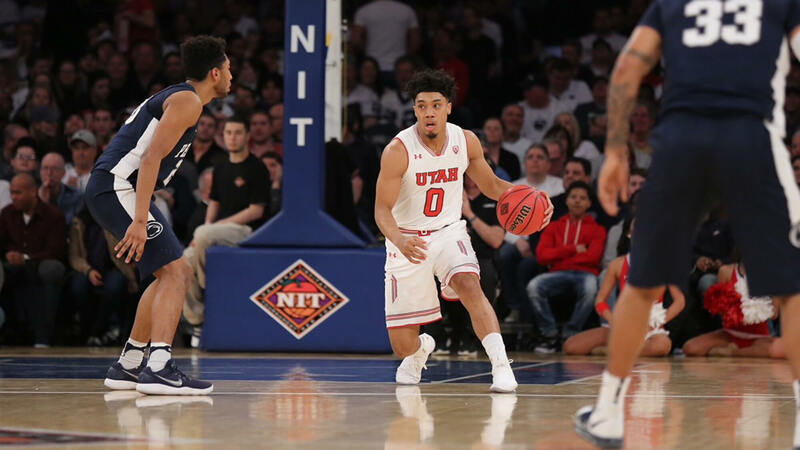 After testing the waters in this year’s NBA Draft, Filipino-American Sedrick Barefield has decided to stay in school and play his senior season of collegiate basketball with the University of Utah Utes. According to a press release from the NBA, Barefield is included in the list of 100 early entry candidates that have withdrawn their availability in this year’s draft. The deadline set by League management for early entrants in removing their names from the list of draft prospects is on Tuesday, June 12, 2018 (PH time). While he may not have been invited to the 2018 NBA Draft combine, the junior combo guard had workouts with the Los Angeles Lakers and Utah Jazz. Per the Salt Lake Tribune, the Jazz were impressed with Barefield’s speed and quickness when he worked out with the team last May 31 (PH time). Still, this wasn’t enough to propel Barefield in the draft charts as there wasn’t any clear-cut indication whether he’ll be chosen in either the first or second round. With Barefield returning, Utah coach Larry Krystkowiak is assured of a veteran presence at the backcourt especially with the graduation of point guard Justin Bibbins. An All-Pac 12 selection last season, Bibbins was the Utes’ chief orchestrator with Barefield playing off the ball. While he did took some time adjusting to his new role given his ball-dominating style of play when he ran the point with Centennial HS during his prep days, Barefield nonetheless eased into the transition by his second year with the Utes. Starting in 24 out of the team’s 32 assignments this 2017-18 season, the 6’2″ guard tallied 12 points, 2.5 assists and 2.2 rebounds while shooting 40% from the floor. Among Barefield’s most notable games this season include his team’s overtime victory over Pac-12 rival Arizona State. Matched up against fellow Filipino-American and ASU freshman Remy Martin, Barefield poured in 17 points in 22 minutes off the bench while going a perfect 4/4 from rainbow territory. One of these triples was a game-tying one that sent the match into overtime. But it was in the postseason in which Barefield made his way into the national consciousness. While Utah failed to make the cut in this year’s NCAA Tournament, the team did made a strong run in the 2018 National Invitational Tournament (NIT) that ended with a runner-up finish. Despite falling short of an NIT title, the championship game was one of Barefield’s best in college as the junior led his team with 22 points highlighted by 6 treys, while adding 2 rebounds, the same number of assists and a steal to the mix. In 5 games played in the 2018 NIT, Barefield averaged 15.8 points highlighted by a 51.6% clip from three-point range. Now that Barefield will be given the chance to run the Utes’ offense, a role familiar to him back when he was with Centennial HS, it’ll be interesting to see as how he will readjust his game to becoming a facilitator once more aside from being a potent perimeter threat for coach Krystkowiak. But should he able to pull this off while leading the Utes deep into a probable March Madness campaign, then it is imminent that his draft stock rise just in time for the 2019 NBA Draft.